By her daughter, Margaret Dawkins. 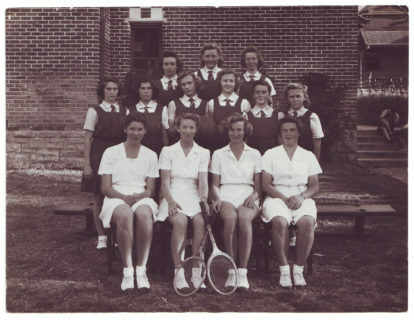 Born in East Fremantle in 1930, Mum started at MLC at the age of about four and spent her whole life at the school. Mum was destined to be a leader. She had excellent sporting skills, a beautiful singing voice and was a keen dramatist. At the request of the headmistress, after being a loyal Athenian all her school life, Mum was noble enough to change Houses in her final year to join Troy, which was in need of a leader. After studying psychology at the University of Western Australia, Mum was employed by MLC as the school guidance officer, taking on responsibility for the class with special learning needs. At this time she was pregnant with me and her growing tummy became a prop in explaining pregnancy and child development. As was the way in the 1950s, Mum stopped work when I was born and stayed home to raise me, my two brothers, Ken and Andrew, and my sister, Gillian. Mum directed her need to contribute to a range of community causes including Red Cross, Meals on Wheels, as a visitor at Alfred Carson aged care hospital, cubs and scouts and her children's schools. Eventually she returned to work at MLC as a school guidance officer. In her gentle and supportive way she helped many young women who were struggling with challenges. For many years Mum was a busy and committed member of the Parents and Friends Ladies' Committee. In 1974 Mum became a School Council member and went on to have eight years contributing to key decisions and corporate governance for the school. 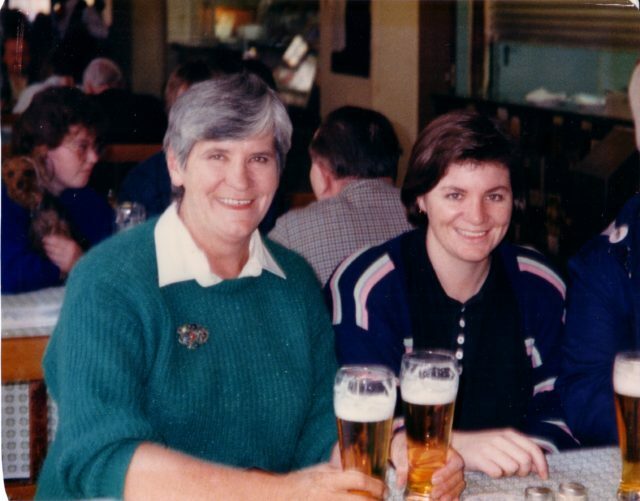 The entire MLC community was deeply shocked and saddened when, in 1987, Mum and Gillian were killed in a bus accident in Greece while holidaying together. The Collegians Association decided to create a bursary in honour of my mother's memory, for the daughter of an old girl who made a significant all round contribution to the life of the school. I have had the pleasure over many years to present the bursary to a succession of young women who would have made Mum very proud. Mum did not reach the heights in business, a profession or academia. But she was an amazing and inspiring mother, a hard working community volunteer and a lifelong contributor to MLC. I am very proud to be her daughter. A visit to MLC will enable you and your daughter to see firsthand what it means to be a part of our MLC Community.